Well, stop the presses! We’ve got some news that’s definitely current! 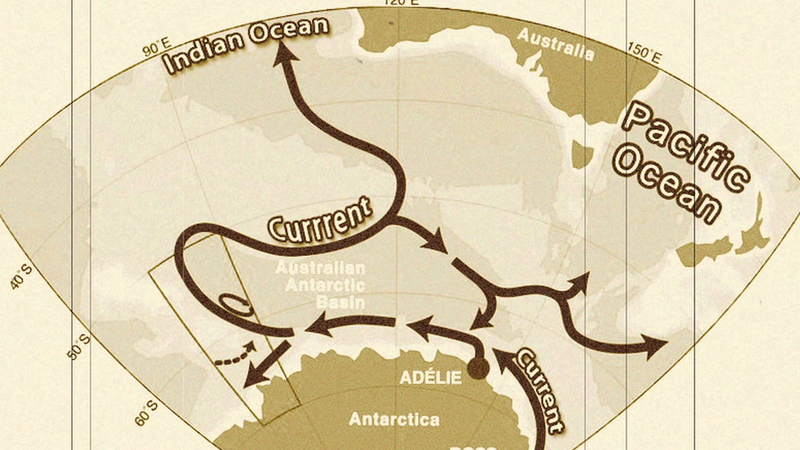 Did you know there’s massive southern ocean current almost two miles below the ocean’s surface? Incredible! Recent measurements found it’s the strongest current ever recorded at this depth – transporting 40 times as much water as the Amazon river! My, that’s hard to swallow! The current carries dense, oxygen-rich water that sinks near Antarctica to the deep basins of the Indian and Pacific oceans. Scientists say this current is an important component of the global ocean "conveyor belt," which pushes water from the ocean surface to the deep ocean and back again. This has a direct influence on temperatures around the world. So, to truly understand the global network of currents that influence our climate, you literally need to scratch below the surface. Bueno, ¡paren las prensas! Tenemos una noticia que definitivamente ¡es actual! ¿Sabías que existe una gran corriente oceánica del sur cerca de 3.2 kilómetros debajo de la superficie del océano?¡Increíble! Estudios recientes arrojaron que es la corriente más fuerte nunca antes registrada a esta profundidad, ¡transporta 40 veces más agua que el Río Amazonas!, ¡Vaya, eso es difícil de digerir! La corriente transporta agua densa, rica en oxígeno, que se hunde cerca de la Antártica hacia las profundas cuencas de los océanos Indico y Pacífico. Los científicos concuerdan en que esta corriente es un componente importante como “cinta transportadora” del océano global, la cual empuja agua de la superficie hacia el océano profundo y viceversa. Esto tiene una influencia directa en las temperaturas alrededor del mundo. Por lo tanto, para realmente comprender la red global de las corrientes que influencian nuestro clima, tienes que literalmente rascar debajo de la superficie. ¡Y esta es tu Noticia del Día! How did scientists discover how much the current carries? A team of Japanese and Australian scientists deployed current-meter moorings anchored to the sea floor at depths of up to 4500m. Each mooring reached from the seafloor to a depth of 1000m and measured current speed, temperature and salinity for a two-year period. With an average speed of 20cm per second, these are the strongest mean currents ever measured at depths three kilometres below the sea surface.